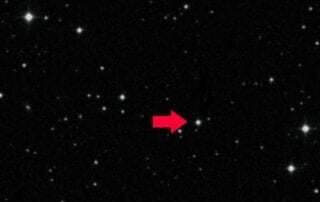 New delta Scuti discovered at SMU is rare pulsating star 7,000 light years away and one of only seven in Milky Way galaxy. Reporter Courtney Collins with the news team at public radio station KERA covered the discovery of five stars made by two Dallas high school students as members of an SMU summer physics research program. Reporter Alexis Espinosa with the Dallas Morning News covered the discovery of five stars made by two Dallas high school students, Dominik Fritz (left) and Jason Barton, in an SMU summer physics research program. 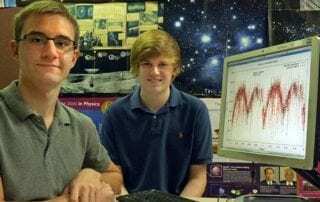 Two Dallas high school students discovered five stars as members of an SMU summer physics research program that enabled them to analyze data gleaned from a high-powered telescope in the New Mexico desert. The Texas newspaper the Houston Chronicle covered the astronomy research of physicist Robert Kehoe, SMU professor, and two graduate students in the SMU Department of Physics, Farley Ferrante and Govinda Dhungana. 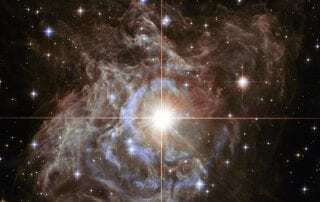 The astronomy team in May reported observation of intense light from the enormous explosion of a star more than 12 billion years ago — shortly after the Big Bang — that recently reached Earth and was visible in the sky. The news web site digitaljournal.com covered the astronomy research of physicist Robert Kehoe, SMU professor, and two graduate students in the SMU Department of Physics, Farley Ferrante and Govinda Dhungana. 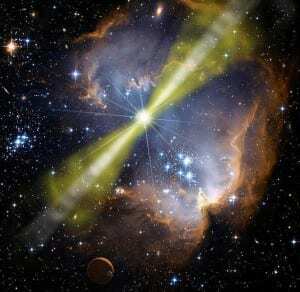 The astronomy team in May reported observation of intense light from the enormous explosion of a star more than 12 billion years ago — shortly after the Big Bang — that recently reached Earth and was visible in the sky. The news service Global Post covered the astronomy research of physicist Robert Kehoe, SMU professor, and two graduate students in the SMU Department of Physics, Farley Ferrante and Govinda Dhungana. The astronomy team in May reported observation of intense light from the enormous explosion of a star more than 12 billion years ago — shortly after the Big Bang — that recently reached Earth and was visible in the sky. CBS News covered the astronomy research of physicist Robert Kehoe, SMU professor, and two graduate students in the SMU Department of Physics, Farley Ferrante and Govinda Dhungana. 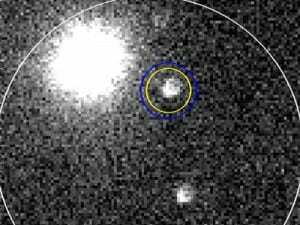 The astronomy team in May reported observation of intense light from the enormous explosion of a star more than 12 billion years ago — shortly after the Big Bang — that recently reached Earth and was visible in the sky.